A woman’s pregnancy may lower her risk of alcohol use disorder during pregnancy and for at least two years following childbirth, according to a study published yesterday in AJP in Advance. Alexis C. Edwards, Ph.D., of Virginia Commonwealth University and her colleagues evaluated the risk of alcohol use disorder in 322,029 pregnant women from Sweden born between 1975 and 1992. They compared the women’s risk with that of nonpregnant controls in the general Swedish population and with nonpregnant female relatives. They also compared the risk each woman had during and after her pregnancy with the risk she had before her pregnancy. Finally, they assessed risk in the male partners living with the women. The researchers defined alcohol use disorder either by ICD codes in Swedish medical registers or by registrations in the Swedish Crime Register. In the first analysis, the researchers matched each of the case-study women to five random control women who were born in the same month and year. They found that the case-study women were 68% less likely to have an alcohol use disorder when pregnant compared with their nonpregnant peers. The researchers then matched 104,550 of the case-study women with 120,938 female cousins, and 40,045 case-study women with 41,567 female siblings. They found that case-study women were about 70% less likely than their nonpregnant cousins and 77% less likely than their nonpregnant sisters to have an alcohol use disorder. The researchers also found that the case-study women were about 75% less likely to have an alcohol use disorder while they were pregnant than they were six to 12 months before they got pregnant. While the protective effects of pregnancy decreased over time, the women remained less likely to have alcohol use disorder two years after childbirth. 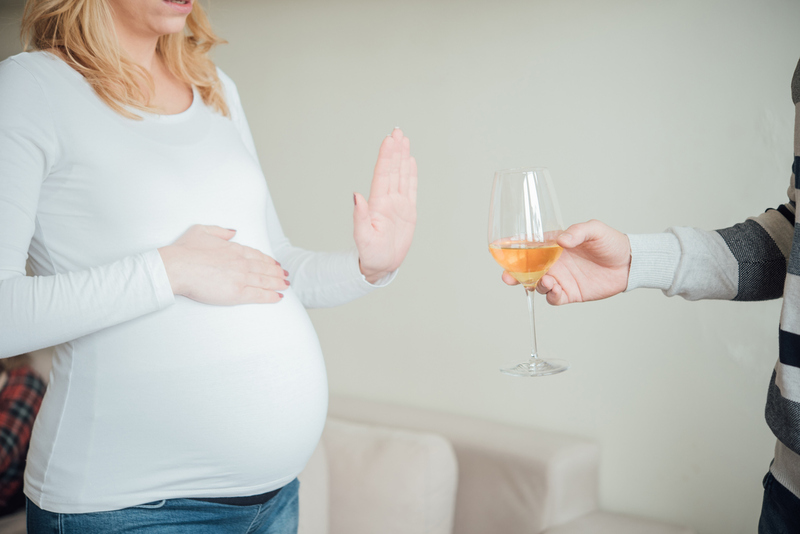 “[These results] suggest that even if a pregnancy is planned [six] to 12 months in advance, the actual pregnancy still represents a period of substantial reduction in risk of alcohol use disorder. This relationship was borne out in the postpartum periods as well,” Edwards and her colleagues wrote. The researchers noted that the male partners were also less likely to have an alcohol use disorder while the women were pregnant, but their risk reduction was less pronounced.